Somebody or something murdered Bart Paget in his own home. Paget was found with claw marks on his throat and a skull in his hand. Asey Mayo, the Homespun Sleuth of Cape Cod, was a friend of Paget's, and was definitely going to be involved in the investigation of the mystery. Paget was a collector of everything. He had collections of books, skulls, Indian relics, and many other things which were all crammed into his home. He also owned the Porter Century automobile which was close to Asey's heart. The claw marks were attributed to Mrs. Susan Remington's wild cats. Mrs. Remington had married Mr. Remington, a very wealthy and older man, who had died and left her very well off at her home on Cape Cod. She indulged in her hobbies which included raising these two wildcats. Someone had released the wild cats on the evening when Bart Paget was murdered. Mrs. Remington set off on a search for the cats as did others in the community of Quanomet Bluffs. The wildcats were found and returned to their cages, but now Mrs. Reminton had disappeared. Asey Mayo's investigation is thorough, but a bit haphazard. He confides details of this investigation to Dr. Cummings who is his friend and confidant in the book. He does do better than Hanson who is the local policeman who is not really open to new ideas. The reader will learn what a wagh nakh is and how it was used to commit a murder. 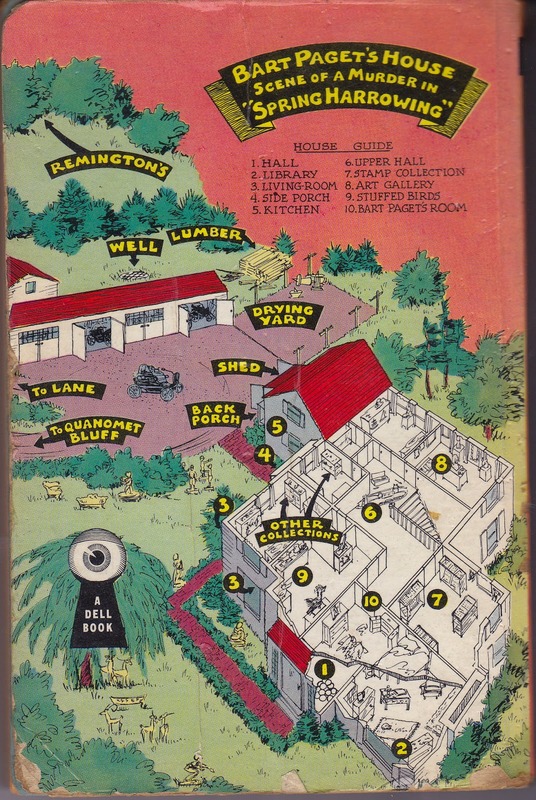 The reader will also learn how to play Hoople which is a game dear to the heart of the local residents. These local residents are rather eccentric and include Webster Betts who is a one-armed man who built his own golf course, and Ellen Allenby who invented Hoople, and her son Scott who was promised a job by Bart Paget who later changed his mind about the offer. There is also Madame Lucy who arrived at the Allenby's one day and stayed for a year. Phoebe Atwood Taylor usually tells a good story, but I would not say that this her best novel. She does not include much description of Cape Cod which is a very scenic area. Occasionally she mentions the beach but that is about it. Also the local yokels who constitute the police force are really too stupid and frightened to be believed. It would have also been helpful to the reader to understand the action of the characters if she had given more indication of their ages. 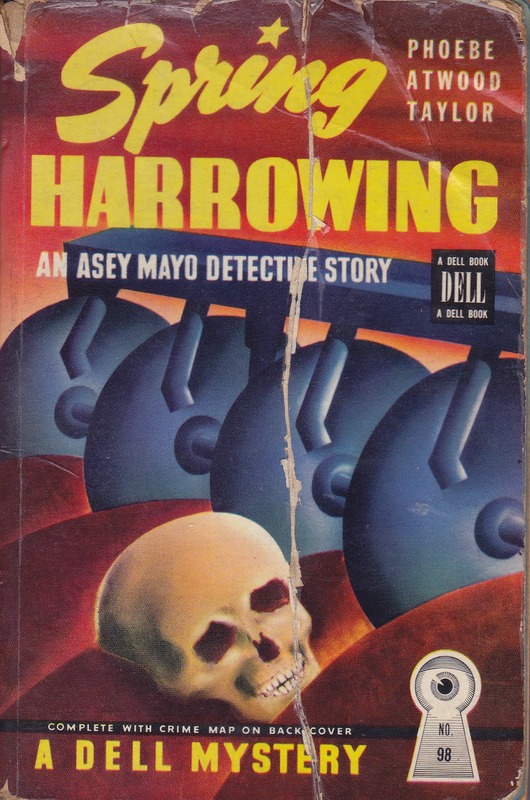 The spring harrowing in the title does not refer to plowing the earth, but to Asey's plowing the clues to find the murderer. This book was published in 1939, and is no longer in print. 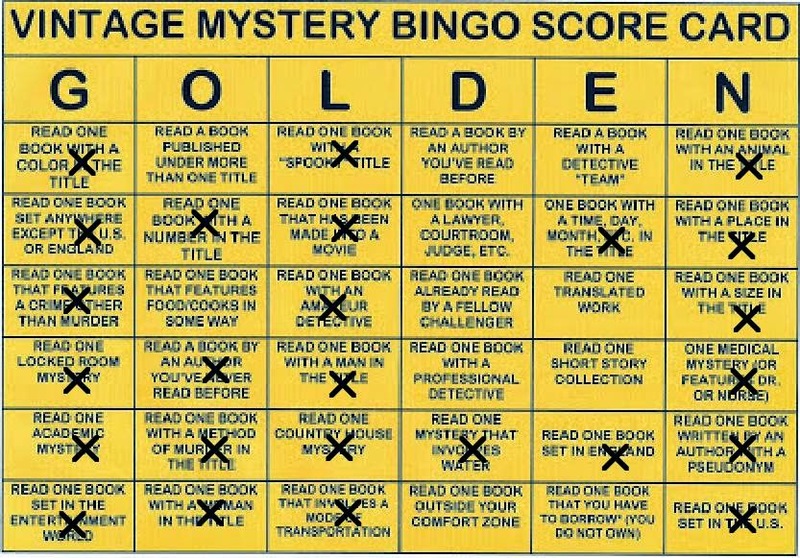 I have read this book for the 2014 Vintage Mystery Bingo challenge in the category of a book with a time, day, month, etc. in the title. I love those Dell mapback books. And I also like the spin on the victim being a collector. I'm sorry the overall mystery didn't seem as good to you.